It is quite possible that the company is launching this phone to compete with the last released smartphone of Oppo, F1s which was also a selfie-centric smartphone. The company calls the media for this device calling it #SelfieWithFlash. Also, Gionee also focused on high-quality music in this phone. So, the company has made this device for the selfie geeks and music lovers. The name of the upcoming model is Gionne S6S. Over the specs, this upcoming Gionee model features a 5.5 inch Full HD display. The resolution of the screen is 1920 x 1820 with a multi-touch gesture. 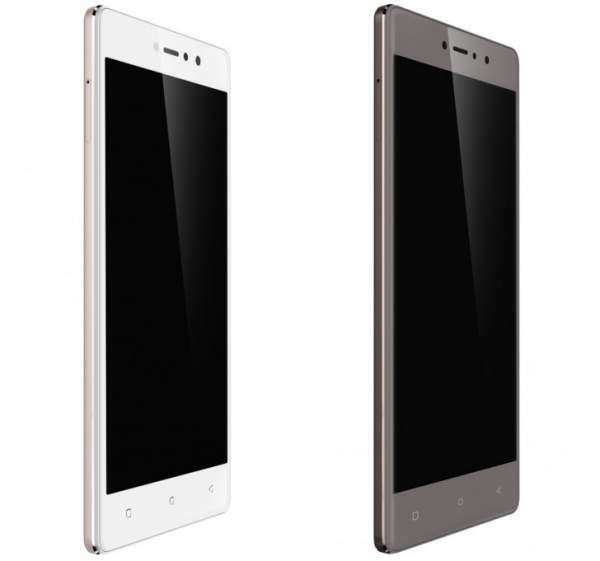 The company is providing a full metal body with 2.5D water drop design and the protection of Corning Gorilla Glass 3. The phone is powered by 1.3 GHz octa-core MediaTek MT6753 processor with Mali T-720 GPU. S6S comes with Android OS Marshmallow v6.0.1 from the box. The company is offering Hybrid SIM slots in this model. The RAM of the S6S is 3 GB, and the internal memory is 32 GB which can be expandable up to 128 GB using a microSD card. Over the camera, the phone has 13 megapixels rear camera with LED flash, 1080p video recording, an aperture of f/2.0, PDAF and Sony IMX258 sensor. On the front, the company is offering a 8 megapixels camera with LED flash, an aperture of f/2.2 and 5P lens. There is an audio jack of 3.5 mm. There is also a fingerprint sensor on the back. The dimensions of the device are 154.5 x 75.6 x 8.27 mm. Other connectivity options like WiFi, Bluetooth, GPS, 4G LTE are also available on the device. There is a 3,150 mAh in-built battery in the smartphone. Gionee India CEO and MD, Arvind Sharma said that “Earlier this year, we announced our mission to “Make Smiles,” by launching products that are intuitive, future ready, stylish and high on performance. The S6s delivers on each of these parameters and will change the way India clicks selfies. We have an ambitious 3-fold target this year, and the flagship S6s will go a long way in helping us achieve those figures.”. This means that the company was planning to launch such a device from the start of the year. The device comes in three color variants, Gold, Rose Gold, and Silver. The device is priced at Rs. 17,999. You can order your product on the e-comm website Amazon.In online and also get the device through retail stores offline. For more information and any related query, leave a comment and subscribe to our website. Stay tuned to The Reporter Times for latest phone news and updates across the globe.